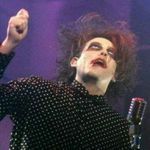 After a spectacular Bloodflowers set on Monday, The Cure head to a country known for its deadly snakes & spiders*, Austria. Vienna to be precise. The City Of Music. Homeland of the waltz & that bloke who puts cats in boxes….or does he….? The little known city finally got its moment in the spotlight thanks to the Ultravox smash hit in 1980 even though Joe Dolce tried to deny it its 15 minutes of fame. As for you hunters of scopes, I’m sure you’ll bag a few tasty broadcasts too. So, buckle up! Or get your dance partners for the old “slow, slow. Quick, quick. Slow” & get ready for this evening’s entertainment. Sounds like a "head" set. Aye, it is looking quite "head-y". They sound checked in between days? Yeah, they'll typically try all the different instruments, so I guess they used that for the VI. the venue acoustics play a part too. Nice to see it back in the soundcheck. Yet again I'll be in and out, more play rehearsals for my son (I'll be glad when this one is over next month!). The sound check doesn't have me quivering in anticipation though. Sounds like it could be a fairly bog standard set, no? That's what I was thinking gothmaz. I think the venue is the exciting bit, smallest on the tour! whats the capasity on this venue? What small enough to go acoustic camp-fire song style??? p.s. somehow this part of the tour has an air of an alternative european song contest, steve just love those introductions! Hello everybody, wish you all an awesome gig tonight!